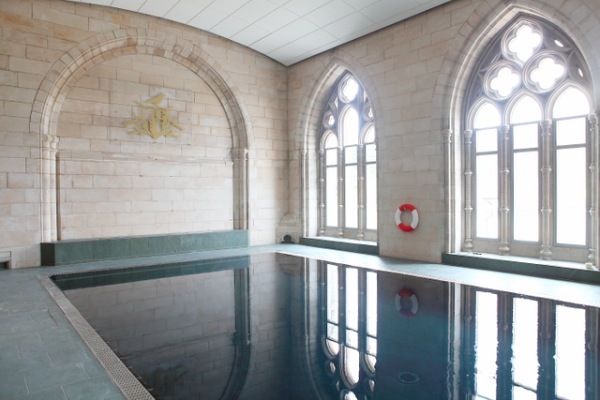 This stunning apartment has some of the best views in the whole of the Abbey. 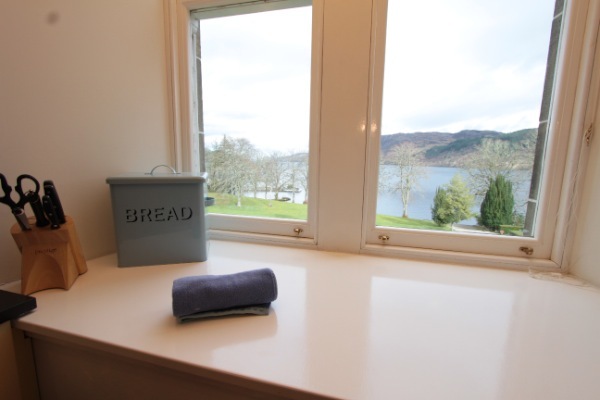 The large windows in the open plan living area provide breathtaking views of stunning Loch Ness. 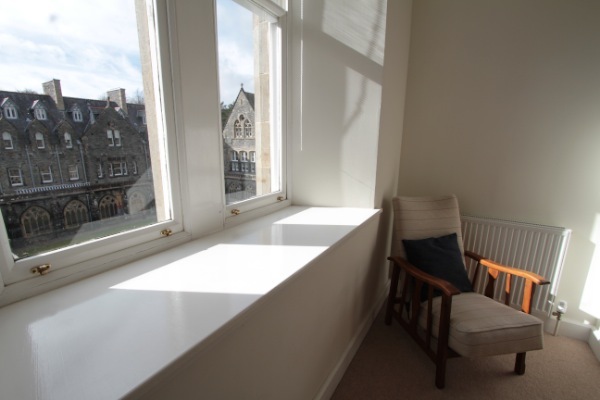 This very spacious apartment is situated on the second floor of the old Monastery building, the large windows in the open plan living area provide the breathtaking views. 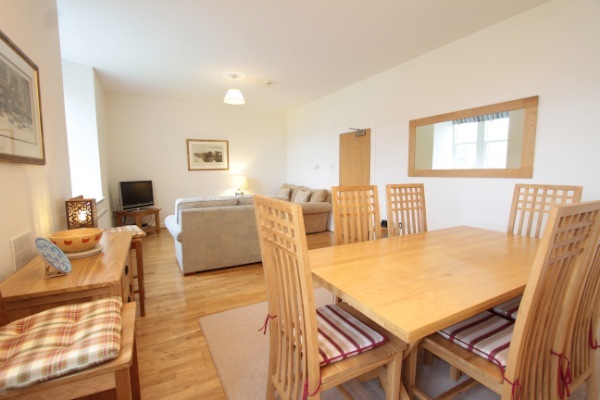 Sleeps up to 8 guests. 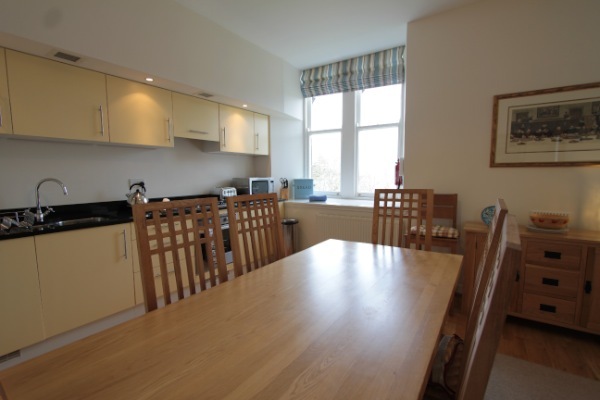 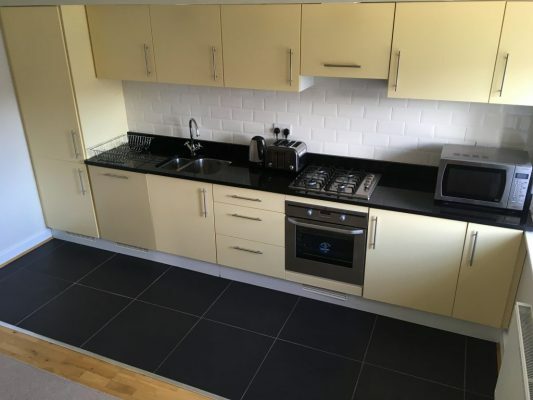 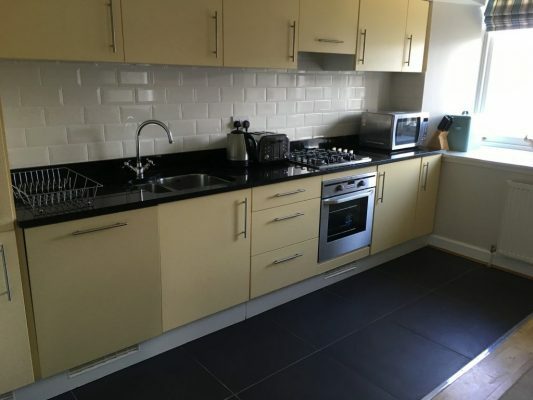 The main open plan living area has a stylish kitchen with granite worktops and is fully fitted with oven, gas hob, dishwasher, microwave, washer/dryer and a full compliment of high quality kitchen equipment and utensils. The oak dining table and chairs and the comfortable seating are set off beautifully by the wooden floor. 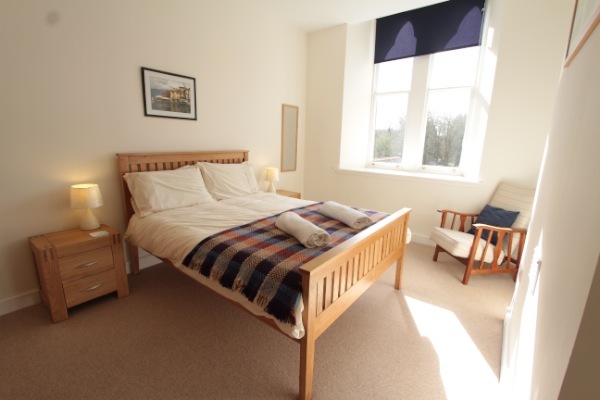 The whole apartment is furnished to a very high standard including a master bedroom suite with a magnificent sleigh bed, affording wonderful views over the Cloister Gardens with their unique stonework, arched windows and majestic towers. 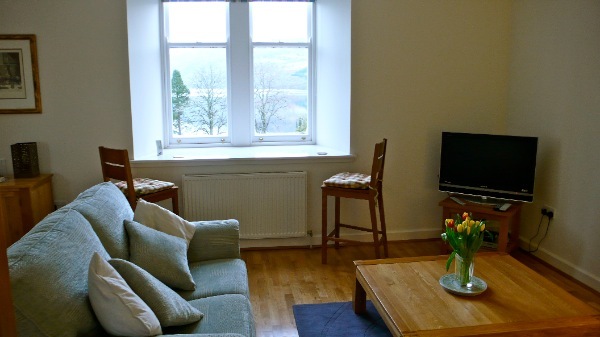 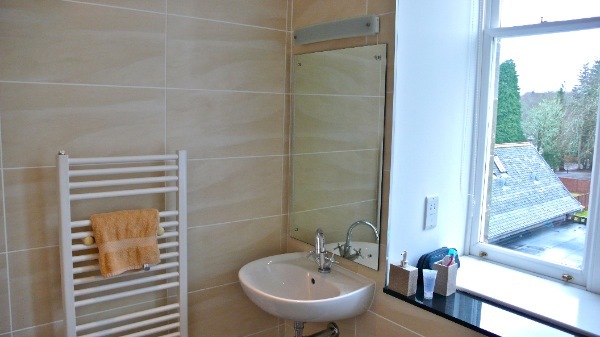 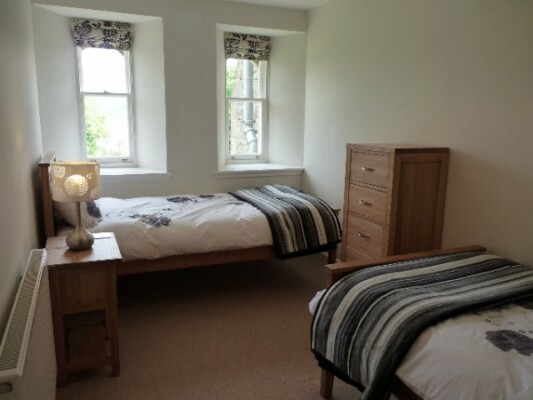 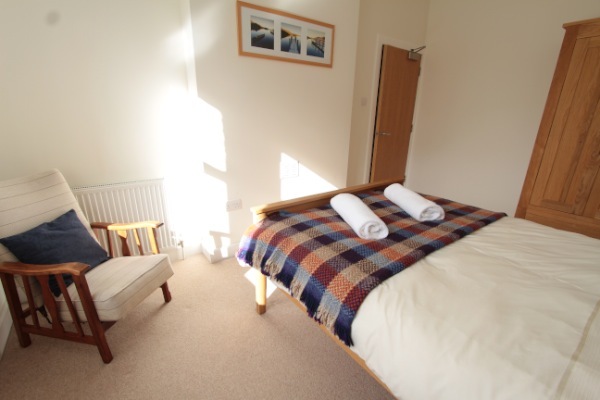 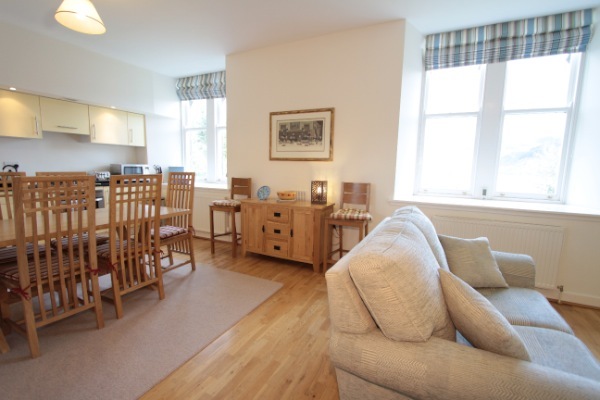 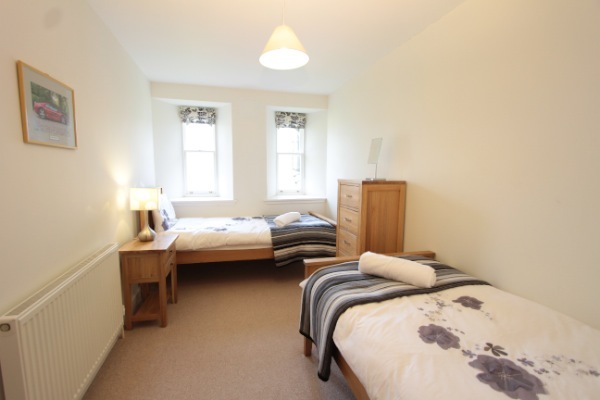 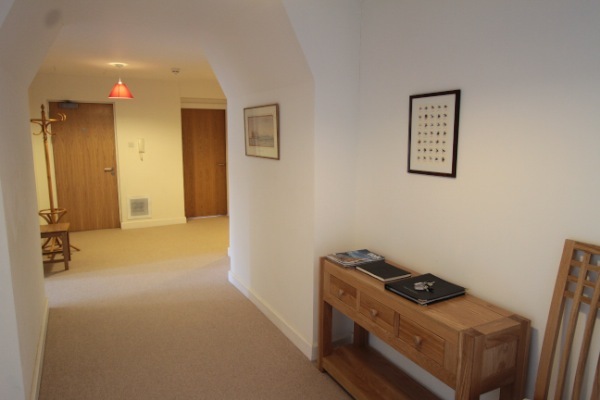 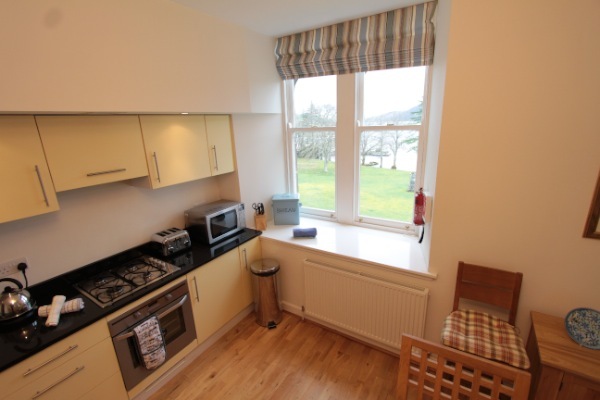 There is a second double bedroom and a third lovely twin bedded room with views of the loch. 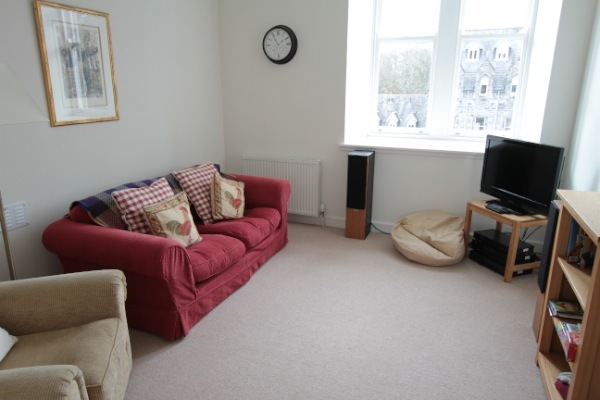 The apartment comfortably sleeps 6, but can sleep 8 with the use of the double sofa bed in the second sitting room. 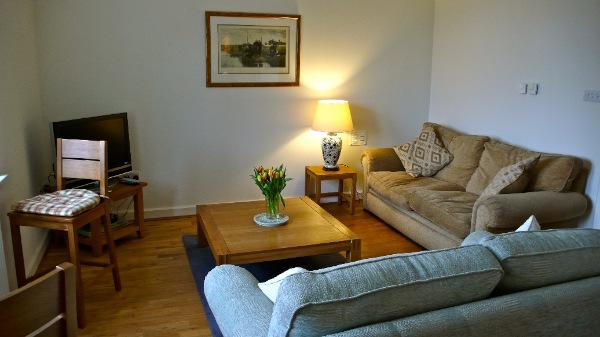 Here you will find a variety of books and games and a second television set. 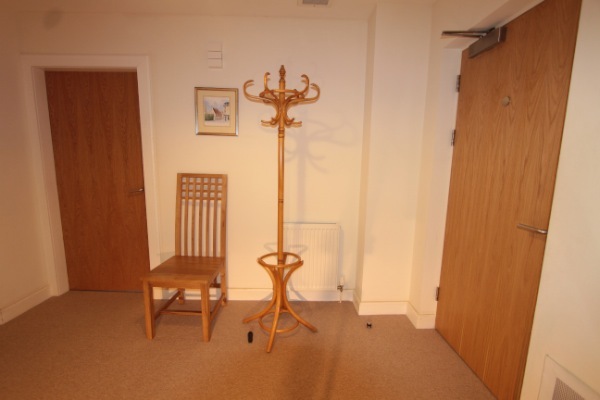 Travel cot and Mothercare folding booster seat also available. 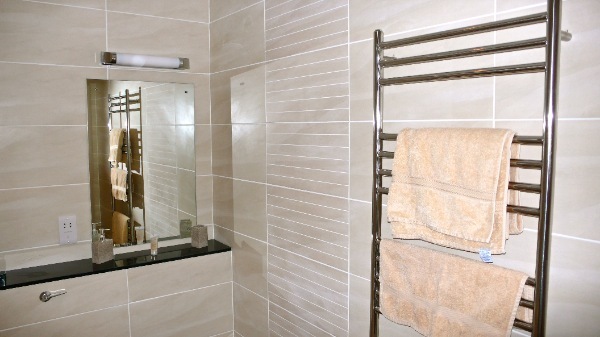 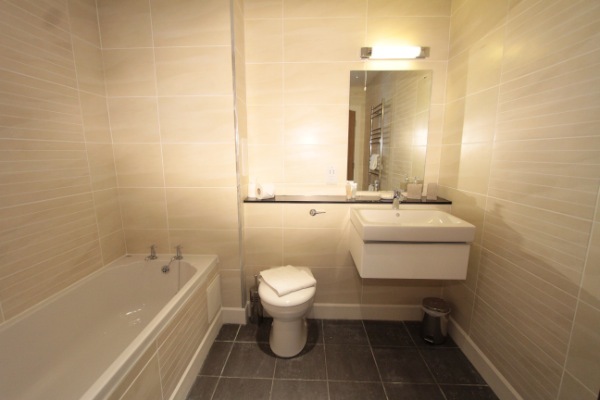 The master bedroom suite has a spacious well designed bathroom including a free-standing shower, bathtub and heated towel rail. 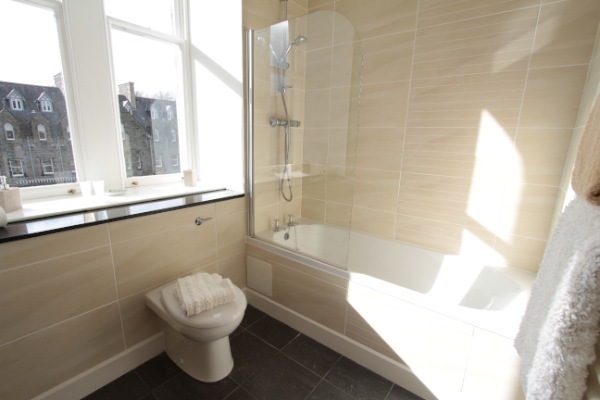 There is also a separate family bathroom with a second powerful shower over the bath tub and lovely views over the Cloisters. 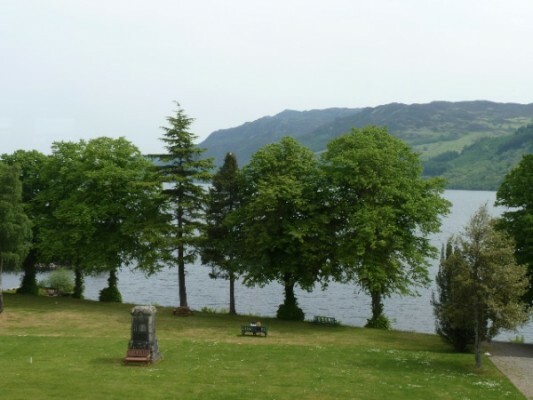 Available for your holiday or short break, the lovely village of Fort Augustus is just a 2 minute walk with its shops, restaurants and boat trips. 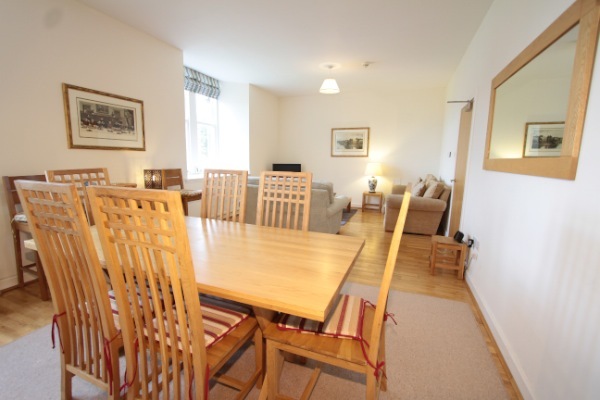 Why not spend a cosy festive holiday over Christmas or New Year with family and frIends. 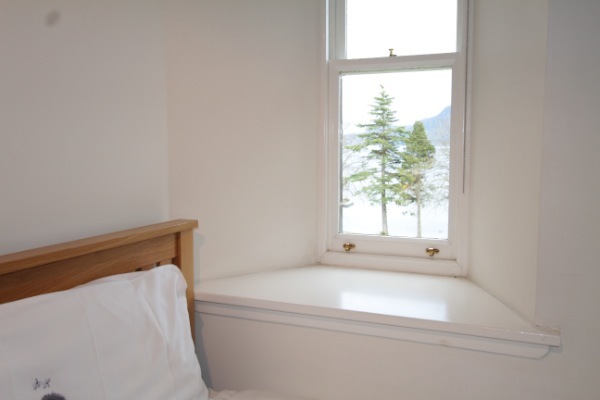 The Highland Club offers the perfect setting for family gatherings.